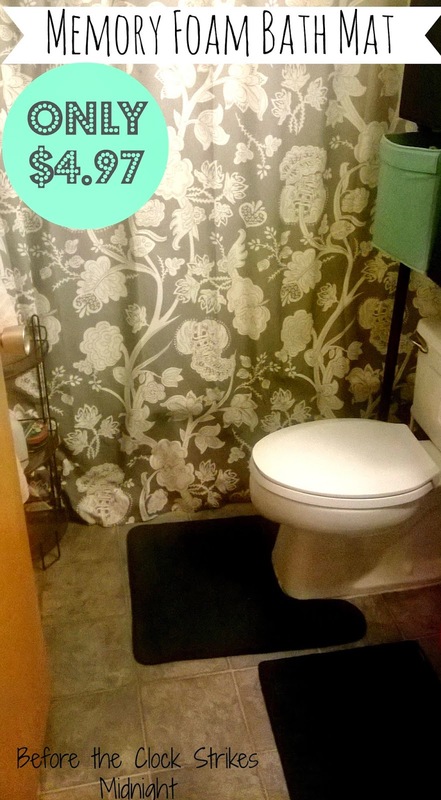 Today only Walmart has a great deal going on for Memory Foam Bath Mats! Normally the mats sell for $12.97 and are now on sale for $4.97. I love that these mats cover up my apartment floors, and make the bathroom feel like a spa. Let's just say years of wear and tear in a bathroom can be quite gross (even with a good clean). I just love college living ;). I recommend black or any dark color especially if you have boys, if you get my drift... Anyways, the bath mats come in black, gray, brown, tan, dark blue and red. Have fun decorating your bathroom with new mats, and having something soft to walk on! woo hoo! Thanks you are too sweet! Glad you like the content! Enjoy your day!